There hasn’t been much news on the Intel front for a long time now but David Bennett over at The Dave’s Channel has revealed the performance numbers for the integrated graphics of Intel’s i7-5500U. This particular ULV processor contains the latest (but not strongest) Intel HD 5500 graphics, which along with its big brother, the HD 6000, bring much needed graphical performance gains in the iGPU sector. 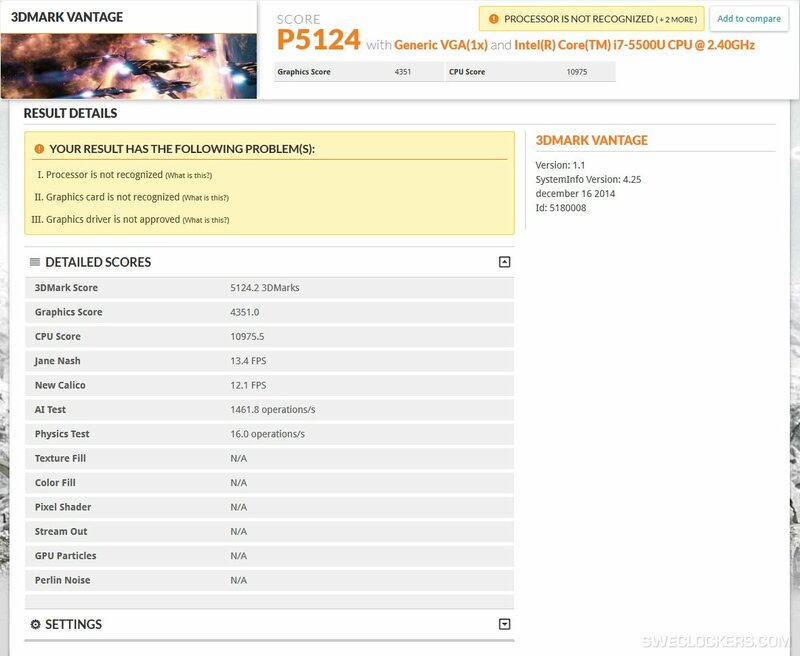 Now here’s the thing, the Intel HD 4400 iGPU only manages a (relatively) measly P score of around 3800, so with the HD 5500 graphics getting 5124, we are already seeing quite a big jump. But it gets even better. 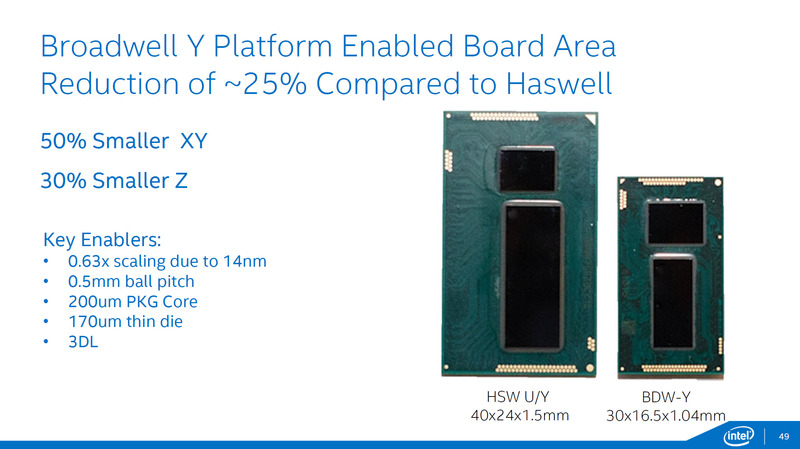 The Intel HD Graphics 5500 only has 24 EUs, whereas the Intel HD 6000 graphics has 48. Thats roughly double the processing power right there, so I imagine it would make for quite a decent iGPU indeed. Infact, the HD 6000 should, by my calculations, beat AMD’s flagship Kaveri APU, which scores in the general vicinity of 7000 P score. Considering the fact that the i7-5500U has a max TDP (yes, max TDP not SDP) of 15W, that’s pretty epic. Ofcourse, we wont stop here and dissect this leak a bit further. If you notice, the older iGPU is clocked higher, so to truly see a comparison on the architectural level and measure the design improvements, we have to remove this unfair advantage. If you divide the P Scores by the clock rate of the GPU we can get a per clock comparison and the results do not disappoint. The HD Graphics 5500 is around 60% faster than the HD Graphics 4400 at the same clocks showing an incredible architectural improvement. We have to keep in mind that the HD 5500 can never touch the 1150 clock (without messing with the delicate balance that is the TDP of an SoC) so the 60% potential increase is not practically achievable. Still, 5124 P Score for this kind of TDP level is pretty amazing.